Multiple bomb blasts have rocked the Syrian capital of Damascus, a mortar attack on Syrian TV among them, reports RT’s correspondent at the scene. 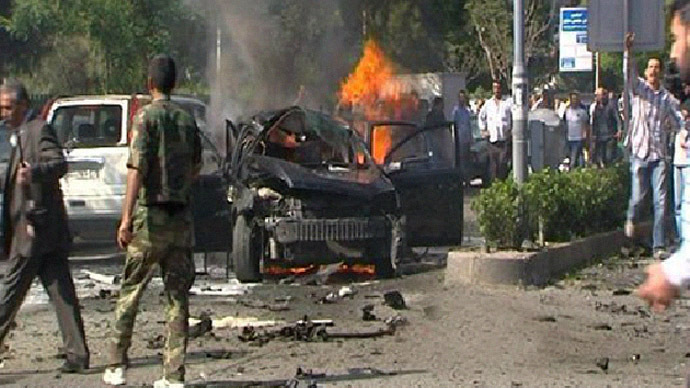 Suicide bombers blew up two booby-trapped cars near the General Organization of Radio and TV in Damascus, state TV reported. RT correspondent Paula Slier said that two security guards were confirmed dead in the blasts while two suicide bombers died in their cars. 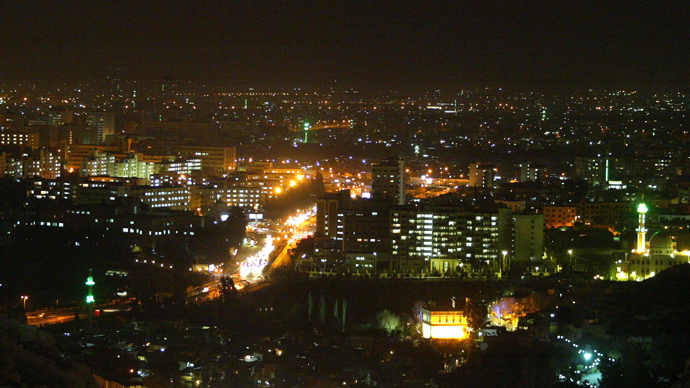 “Within the last 20 minutes there were two massive explosions in downtown Damascus. It seems that one was right in front of the Syrian TV and we are seeing some footage being circulated on line by the rebels saying that their target is the Syrian TV,” said Slier. 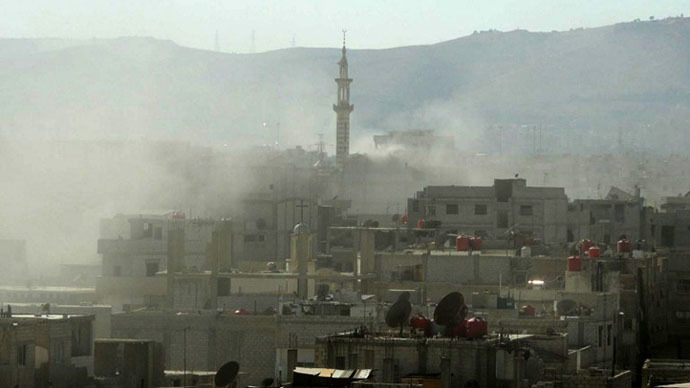 But Syrian state news agency SANA said that there were no casualties while blaming the blasts on "terrorists". Syrian TV showed footage of what appeared to be two burning vehicles, a fire engine and a building which had had its windows burnt out. 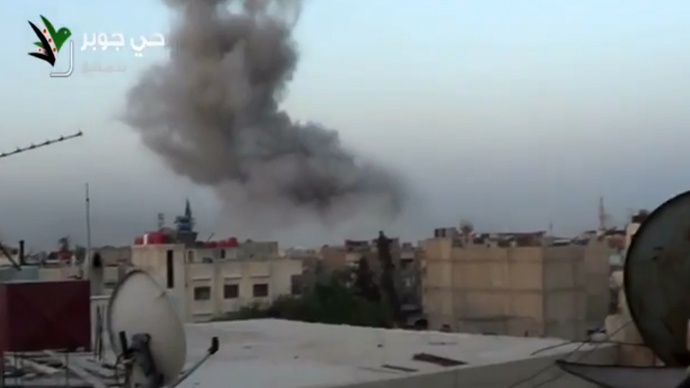 Slier added that the rebels have published a video on internet saying they will target the Syrian TV building. She also said that rebels had warned civilians to stay away from all military checkpoints in the city, prior to the blasts, which were just two minutes apart. One more blast targeted the Four Seasons Hotel, where the foreign chemical weapons experts are staying, said Slier on her Twitter account. Manuel Oschesereiter, Syrian crisis analyst has told RT that the attacks against UN inspectors were deliberate to undermine international diplomatic efforts. “The attack against the UN inspectors is a thing where the rebel sides benefit because it is not in their interest that the UN team can work in a proper way,” Oschesereiter said. While in April 23 people were killed in two explosions. In one of them, the Syrian Prime Minister, Wael Halqi, narrowly escaped with his life. Nineteen inspectors from the United Nations and Organization for the Prohibition of Chemical Weapons (OPCW) are currently working in Syria, investing the use of chemical weapons during the country’s ongoing civil war. They will have to check about twenty sites as another group of twelve international experts is preparing to leave for Syria to speed up the process. The government began destroying the first chemical weapons last week while in accordance to the US-Russian deal made during Geneva talks last month the elimination program has to be completed by June 30, 2014. 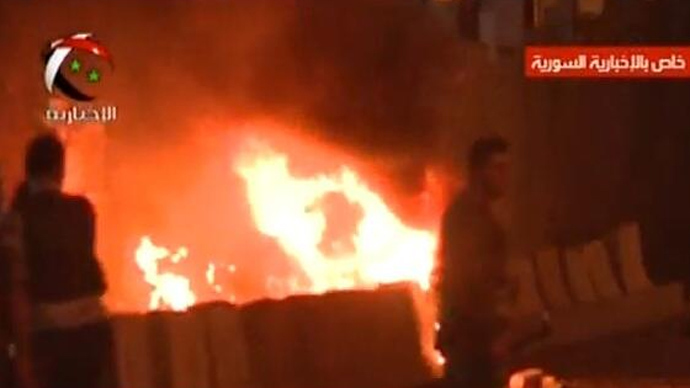 Bombings are a fairly regular occurrence in Damascus, although by no means as regular as in Iraq. One of the latest blast hit the Russian embassy compound last month, injuring three people.